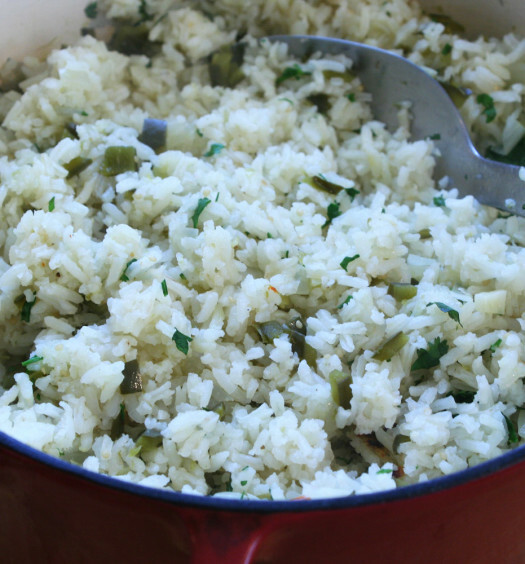 We’ve tried different Mexican rice recipes over the years. This is the best we’ve found. 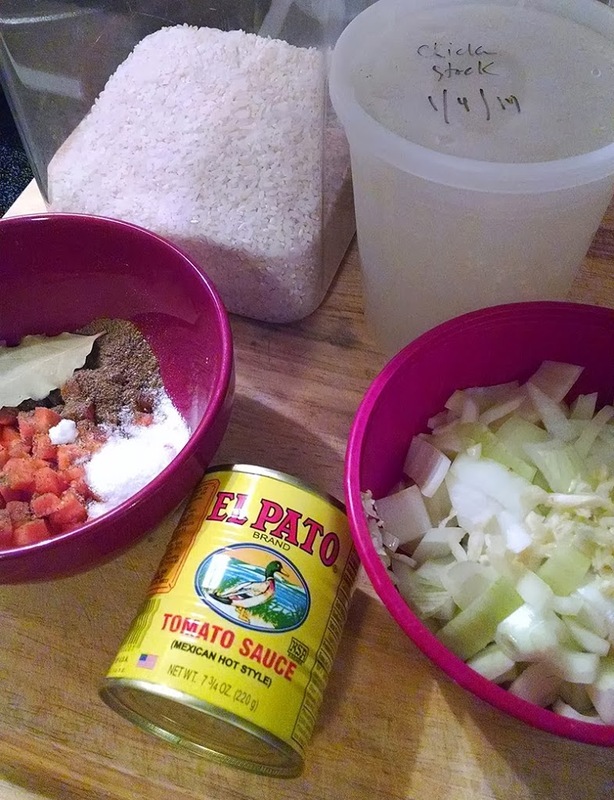 Tastes as good as any rice you’ll get at a Mexican restaurant. You’ll want to cook it in a heavy-bottom dutch oven. You’ll get a wonderful caramelized burnt rice crust on the bottom. I like to eat my rice with a spoonful of pico de gallo on top. I separate the prep into 4 parts. Put the rice in a fine mesh strainer and rinse under cold water for 10 seconds or so. Let drain for a bit. Heat the oil on medium high. Add the rice, fry and stir off and on for about 5-10 minutes until the rice begins to color a little. You’ll see a few of the rice bits begin to brown. Turn the heat to medium and add the onion and garlic and cook for about a minute until the onion becomes translucent and the garlic is fragrant. 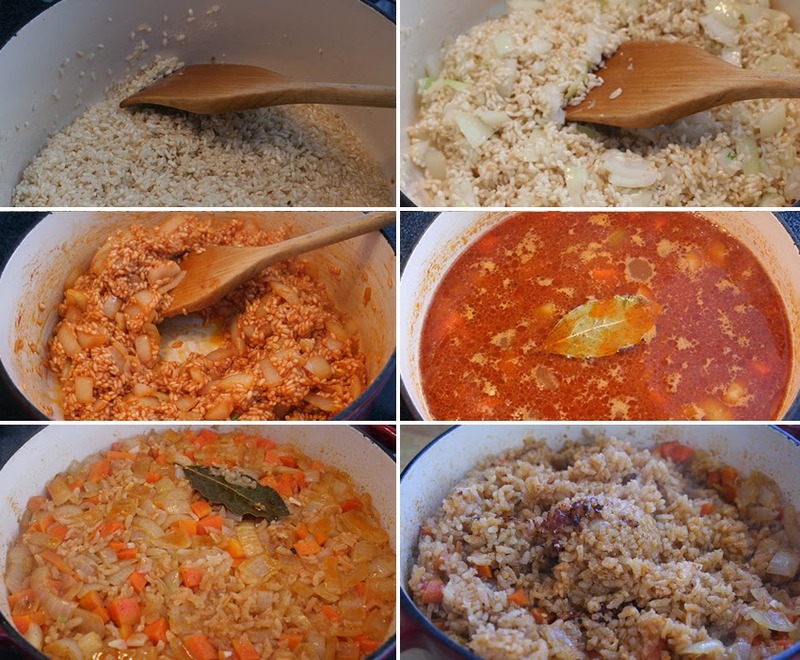 Stir in the bay leaf, cumin, carrot, salt, pepper, and chicken stock. Raise the heat and bring to a boil. Once boiling, cover and bring the heat down to low. Let cook for 30 minutes. Serve. 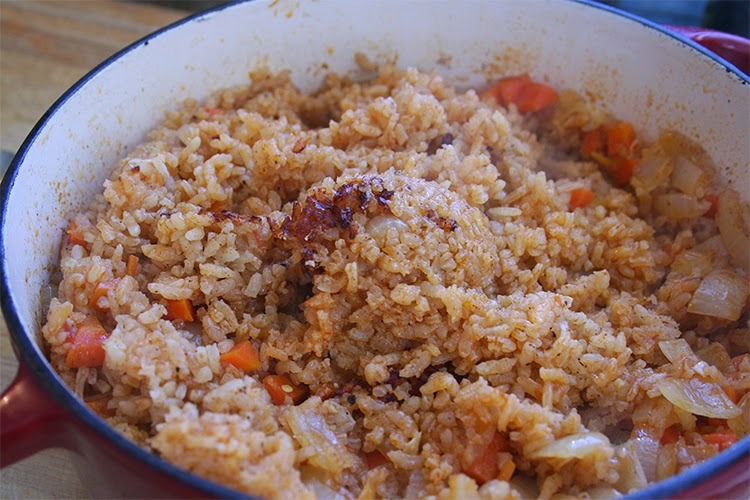 I like to scrape a bit of the crusty bit on the bottom of the pan and mix into the rice before serving. Excellent! I use vegetable stock instead of chicken because we’re vegetarians. This is my go-to recipe. Gracias!